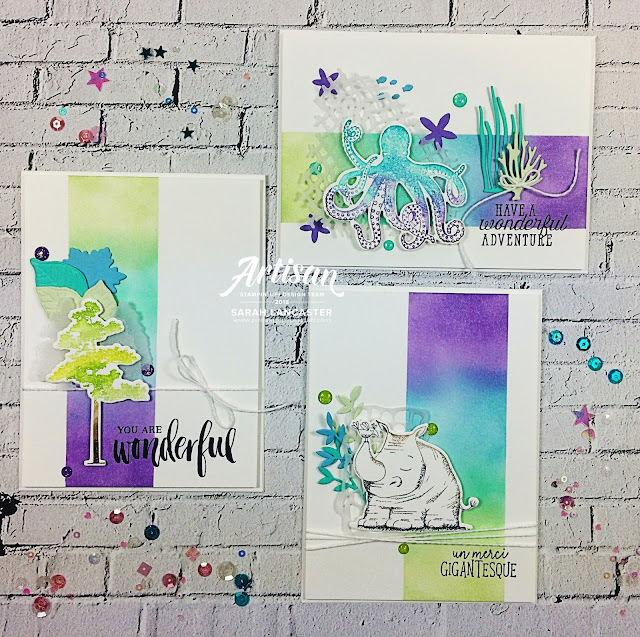 Hello, my name is Sarah Lancaster and today I am sharing a set of ink blended cards with you. 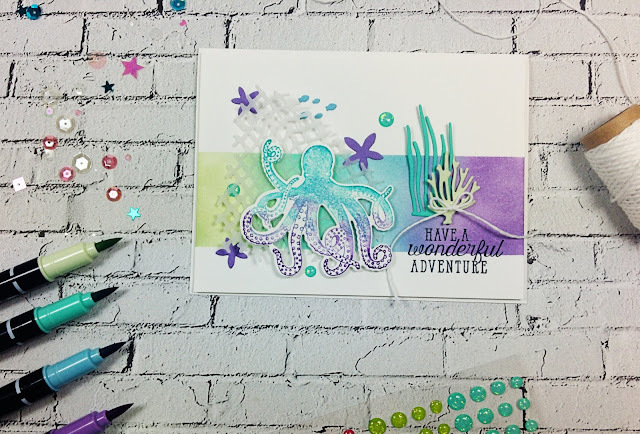 By creating an ink blended section on your card, I will show you how to use three different Stamp and Die sets to produce similar colored but beautifully individual stunning creations. My creations today have used the Animal Outing Stamp Set and Animal Friends Thinlits Dies (item 148324), the Rooted in Nature Stamp Set and Nature's Roots Framelit Dies (item 148353) and the Sea of Textures Stamp Set and Under the Sea Framelits Dies (item 148358). You can see above that each card background is very similar but by adding the stamps and embellishments of your choice, one card will never be exactly the same as another. So, let's start with ink blending! If you've never done it before it's very easy. You can use Stamping Sponges (item 141337) or Sponge Brayers (item 141714) but I get the best results by using Sponge Daubers (item 133773). These easily pop on the end of your fingers and I find this works for me. 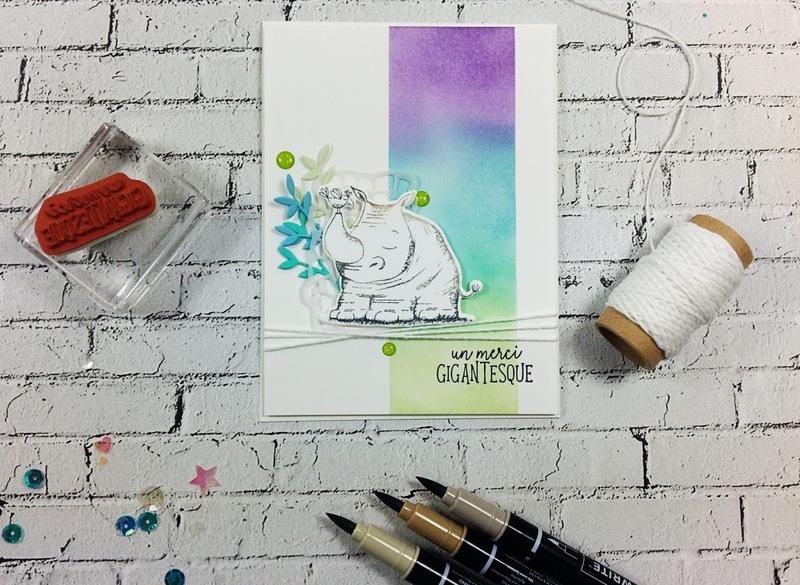 First you need to create an area on your card front to work with the inks. You can use paper secured with washi tape or Post-It notes to mask off the area where you don't want ink. 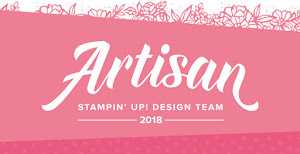 Then tap your Sponge Dauber onto the ink on your Classic Stampin' Pad and I like to keep a piece of typing paper next to me to tap off any excess ink. Remember to start with very little ink, it's easy to add more ink but very hard to remove too much ink! Then you work in small, circular movements. I always start off the blended area and work my way onto the inked area. After preparing my card stock I added ink using my Soft Sea Foam Classic Stampin' Pad (item 147102), Coastal Cabana Classic Stampin' Pad (item 147097), Balmy Blue Classic Stampin' Pad (item 147105) and my Highland Heather Classic Stampin' Pad (item 147103). I worked slowly, adding more ink where needed and overlapping the colors to get them to blend. When you have finished the ink blended, gently waft your piece of card through the water spray from your Stampin' Spritzers (item 126185) to help the inks blend together. Then it's time to decorate your card front as you wish. 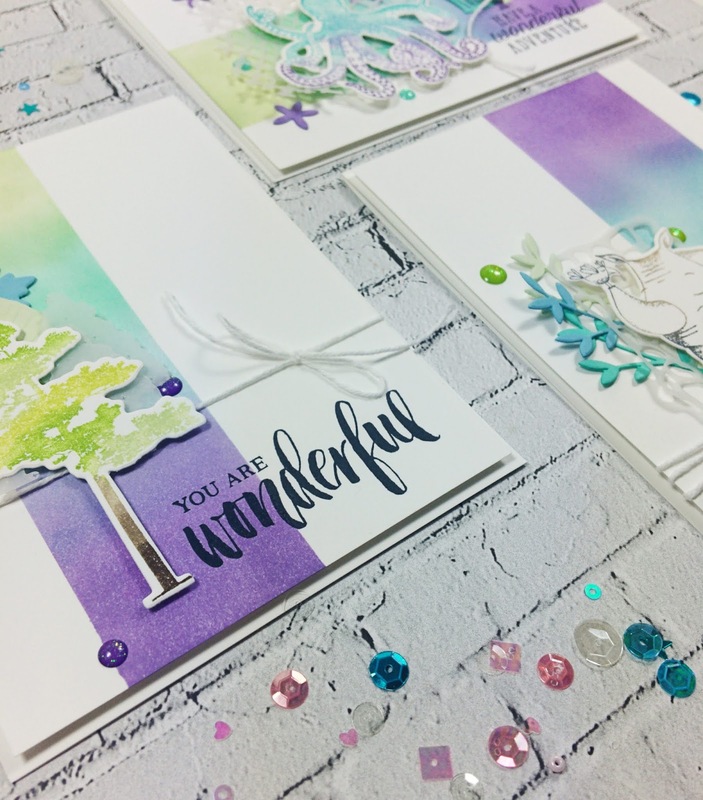 For each of my cards I have used the same card stock colors as the inks, adding a die cut in Vellum Cardstock (item 106584), some Glitter Enamel Dots (item 146934) and some Whisper White Solid Baker's Twine (item 124262). But each card is so different! That's the fun of ink blending! For the stamped image on each of my cards I used my Many Marvelous Markers (item 147154) to color my stamp. Remember to "huff" on your colored image before transferring it to the card stock so that the colors blend nicely together. I hope my "Study in Ink" (it's play on words with one of my favourite Sherlock episodes!) 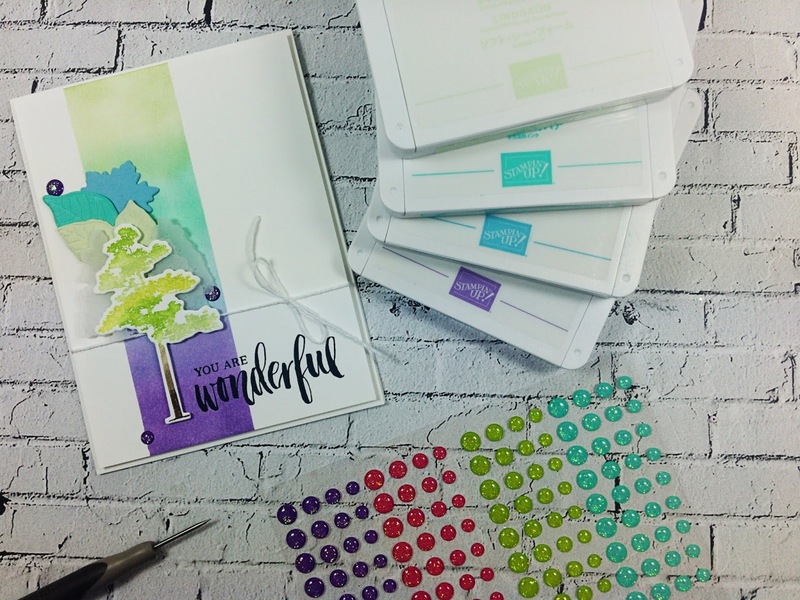 has given you some inspiration – it's really all about the ink doing the work for you and creating stunning cards. My tip for you is to always choose ink colors that really work together – but the fun is in the practicing. I challenge you to have a go this week and create some ink blended fun!